Leah Samson, now Faye Laramie, was once fond of saying "Oh, Muffin!" 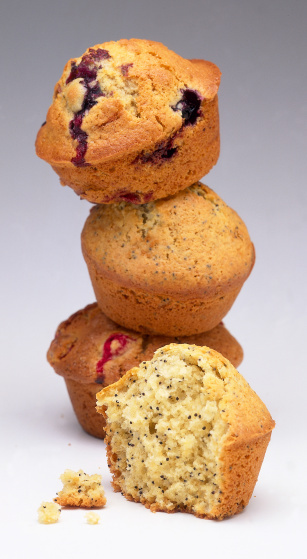 She also started handing out muffins in the Roost, and muffins caught on as a general theme around here. We have all become quite fond of eating them and sharing them with others seeing as how they're quite tasty. What are Ravenclaw Tests of Logic? From September to December 2001, Godric’s Ghost challenged all of HOL to solve weekly logic puzzles. Yes, this was the same Godric’s Ghost who created snitchplay. While I was not around when the Ravenclaw Tests of Logic were being run, there was a link to the site on the main HOL page for a few years. I did a quick search and found that the Ravenclaw Tests of Logic site is still fully functional. At least two logic puzzles were posted each week. Most of the puzzles even came with a form to help you solve them. Solutions to all the puzzles, except December, are now available for you to check your work. The site also features a breakdown of Professor Severus Snape’s famous puzzle to protect the Philosopher’s Stone. Godric’s Ghost listed everyone who solved the puzzle and had a Hall of Fame for the fastest solvers. Some familiar names (and many unfamiliar names) show up in the Hall of Fame. Notable Ravenclaws include Kimaire Seloiro, Fake Moody, and…. Rhiannon Llewellyn! Sapphires started two years ago (2009) as Ravenclaw Activity Points. They were designed to encourage more activity in the Roost and Ravenclaw. Eagles are awarded sapphires for botting, attending quidditch games, RPG, activities, debate club, library submissions, yearbook submissions, and earning quills. Each term there is a first year winner and older member winner for having the most sapphires. Since sapphires started they have been kept in order by three prefects. Originally, Alexia Riaper was in charge of them all, but she eventually passed them on to me when I was promoted to prefect. Halfway through this past year (2011), I passed them on to the current Keeper of the Sapphires, Arielle Lemoyne. What doesn't Ravenclaw have a cheerleading squad? 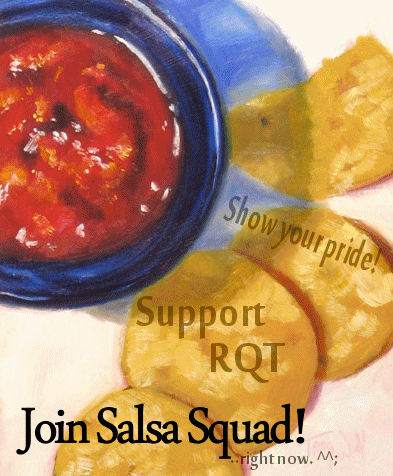 The Salsa Squad was Ravenclaw's former cheering squad. To become a member of the Salsa Squad (sometimes abbreviated to SS,) a short application was to be filled out. This application inquired about general IRC knowledge, asked for a sample cheer, and allowed an applicant to talk about why he or she should be chosen for the Squad. Comprised of three committees, the Squad's overall goal was to bring Ravenclaw spirit to each Quidditch match and cheer the Eagles to victory! Every member who was accepted into the SS was automatically in the General Cheering Committee. The GCC held a number of practices each week, and worked on properly exhibiting team spirit and learning new cheers. The cheers practiced by the GCC were created by none other than the Create-A-Cheer Committee! This committee required more than your average cheerleader; a knowledge of using colors and IRC script was encouraged. The last group of inspirational Eagles were members of the Graphics Committee. In this committee, an intricate knowledge of graphic design wasn't necessary - upon approval one was given the title of either "Member" or "Apprentice." The Salsa Squad was a very neatly-ran organization - not random chants and cheers like you see at your everyday Quidditch match nowadays. The planning was well thought-out and Alissa Kirby, Adeliene Cromwell, and Annie Chandran spent a lot of their time making the Squad the best it could be! Many of the fellow eagles of today would disagree at this highly stereotyped word, since the meaning usually gives quite a negative connotation. But those of us who’ve used it in the past usually see past the negativity and find pride in the word, because we can. Ravenclaws did not first coin the term, however. In fact, this all happened during the first Cute War, in which Gryffindors and Ravenclaws—with an age-old Quidditch rivalry in the golden olden days—teased each other mercilessly with much silly words. It came out during a conversation, about what words people used for each House. Hufflepuffs were spiffy, Gryffindors were cute (though they deny this), Slytherins were evil (though I might be making this up...), and a Gryffindor had called us preppy. Whether or not this word was a serious contemplation or a jest didn’t matter; Ravenclaw took to the word and used it as often as we could. 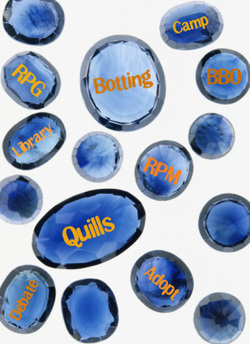 From there, we asked RQT supporters to “preppify” before Quidditch games, renicking to “Preppy! [LastName]” as a way to cheer us on. It was a successful way to bring up morale. So whatever the case, whether the term came about maliciously or not, it didn’t really matter. The term stuck, and frankly, we’re still darn tootin’ proud of it!